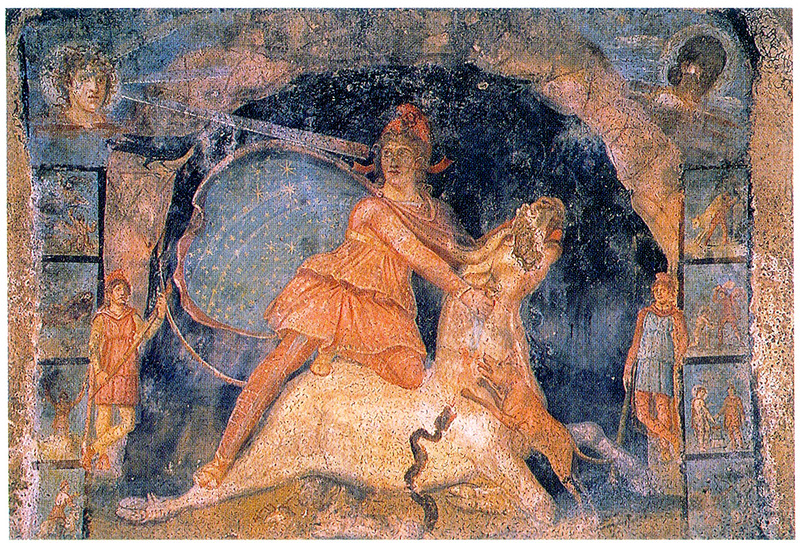 There is much exciting work going on in the area of esotericism and the religions of antiquity at the moment. One of the people who have been instrumental in lifting the focus on antiquity within the study of esotericism (and bringing esotericism to a sometimes unwilling crowd of Gnosticism and ancient Christianities specialists – kudos for that!) is Dylan Burns, currently of the University of Leipzig. I’ve written about Dylan’s work previously, and of course, there’s been mention of the ESSWE Network for the Study of Esotericism in Antiquity (NSEA) which he co-founded with Sarah Veale. Esoteric summer course – a unique opportunity in Groningen this summer. For a few years now, and following the arrival of Kocku von Stuckrad at their religious studies department, the University of Groningen in the Netherlands has offered an MA track on esotericism and related topics, called “Concealed Knowledge”. This has made Groningen one of the few places in the world where proper academic instruction in this field is available to MA and PhD-level students, alongside Amsterdam, Exeter, Rice in Houston, and the Sorbonne in Paris (by the way, the Amsterdam HHP website has a great list of these programs and related networks). 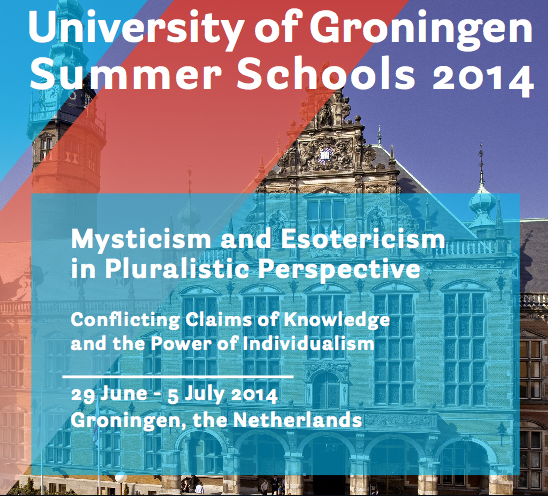 Now Groningen is making a new move, by launching a summer school program on “Mysticism and Esotericism in Pluralistic Perspective”. It is intended primarily for MA and PhD students, and will take place during an intensive week from June 29 to July 5 2014. 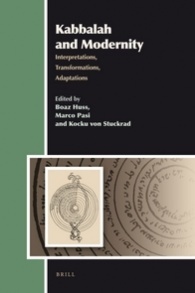 It’s co-organized by the Universities of Groningen, Erfurt (Germany), Aarhus (Denmark), and Rice University (USA), and promises to “address fundamental questions of concepts and approaches” in the study of esotericism. Definitely worth keeping an eye out for. If you’re working on a dissertation in the field of esotericism or planning to get started on one, this seems like an important place to be. If you’re new to the field of Western esotericism, planning to set up an introductory course somewhere, or wondering what to read as a crash-course to the field, here is something you have to read first. The upcoming issue of the journal Religion (“iFirst” version available online now for subscribers) publishes a lengthy review article by Wouter J. Hanegraaff, a leading expert in the field, going through as many as seven introductory level textbooks that have been published over the last eight years (since 2004). More than just a review of introductions, the article engages critically with the theoretical and methodological challenges of the field, and takes a clear stand on where one should go from here. The result is an article that analyses the present situation of esotericism research, provides an overview of strengths and weaknesses in the basic literature that newcomers are likely to encounter, and offers a pronounced and programmatic statement for future researchers and teachers. 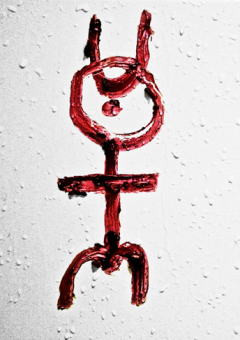 “Esotericism” – strange shapes and sights. Just a couple of days after the Religious Studies Project posted a podcast interview with Wouter Hanegraaff on the academic study of esotericism, there is a follow-up in the form of a short-length essay, debating the possibilities and challenges of esotericism research. Its author, Damon Lycourinos, a current PhD candidate at the University of Edinburgh, brings up a number of concerns – related to questions of European cultural identities (e.g. “reason” vs. “faith”), “the West”, definitional problems related to emic self-designations and typological constructs, etc. The ESSWE’s newsletter for Spring 2012 was sent out to the Society’s members this morning. It has already found its way online, and can be read here. The editor, Per Faxneld, has put together a nice little overview of what is going on in the field, including a report from the three centres at Paris, Amsterdam, and Exeter. Besides this, Sasha Chaitow (of Phoenix Rising Academy) presents her PhD project on Péladan (“A Babylonian Mage in 19th Century Paris”), while Mike Zuber, who is just about to join the Amsterdam group as a PhD candidate, describes his upcoming research on Pietism and alchemy. It should be exciting stuff. There is also a report on the second INASWE conference, that took place in Haifa, Israel, earlier this Spring. The Israeli group has rapidly become the most active local network in the ESSWE, as it has now produced two workshops/conferences in less than one year (see this post for their first event last summer)! Finally, the “scholar interviews” this time are with Kocku von Stuckrad, and yours truly. Enjoy! The 1st International Conference on Contemporary Esotericism will be held in Stockholm this August. The deadline for submitting papers is drawing closer (March 30), and there have been a couple of updates – including a new keynote speaker. Check out the call for papers below. As advertised before, there will be a book out next year on Contemporary Esotericism, edited by Kennet Granholm and myself. The volume brings together well-established and up-and-coming scholars in the field of esotericism, with brand-new research articles on contemporary esoteric topics. In connection with the book, we are organising an international conference on the same topic, to be held at Stockholm University next August. Below you will find the full call for papers. You can also check out the conference website. It’s early, but we will accept proposals as soon as they start coming in, so no need to postpone thinking about it.